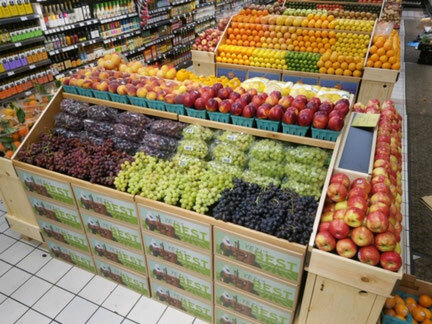 Retail Display, Produce Tables-home of the produce display experts - Trinity Mountain Products - Home of the retail display experts! Welcome to Trinity Mountain Products! Trinity Mountain Products is a for profit facility and does not recieve any grants, contracts, or assistance from any state or federally funded organization! We pay our rent. We are sustainable. We are socially and environmentally sound. We don't brag about it, it's just who we are. Trinity Mountain Products is a full service facility. We start with consultation and customer service. We design and manufacture primarily wood fixtures for retail display that enhance a shopper's experience and with that, increase sales. 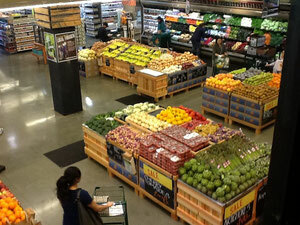 Inner City Market Run - small space lots of skus! Spread the word with social media!